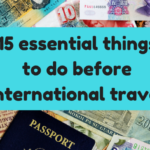 Planning a trip to Dubai? 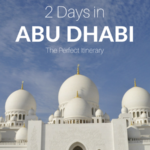 Read on for a complete 3 days in Dubai itinerary including the best things to do, where to eat, where to stay and other essential tips written by a local. Dubai, a small city in the Middle East is a modern Arabian city and a concrete jungle that attracts millions of tourists from all over the world annually. With a very small local population and limited resources to run the country, the Ruler of Dubai has turned the small Emirate of UAE into one of the biggest travel destinations on the world tourism map. Always buzzing with life, Dubai has many of entertainment activities, manmade wonders, and even some exciting adventures for the adventure seekers. Dubai is very small in size but there is a lot to do and see in the city. Here is a 3-day itinerary to explore the best of Dubai. It is always recommended to start the day with a scrumptious breakfast while traveling. In Dubai, the best breakfast is served at the Shakespeare Café and Co. 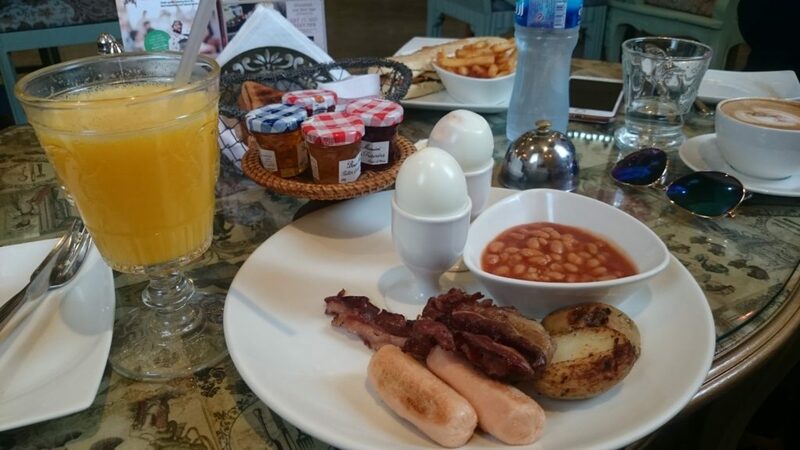 Though it is not the traditional Arabian breakfast, the café serves the best English and American breakfast in town. There are more than fifteen branches of Shakespeare café in Dubai so you can easily find the one nearest to your location. For a price of AED 650, the English breakfast at the Shakespeare Café will be enough to keep you fueled till the lunch time. After a nice and filling breakfast, the best way to head on with the day is to visit the most popular public beach in Dubai, Kite Beach. The Kite Beach is in close vicinity of the Burj Al Arab, which offers great views of the hotel. It also very famous for different water sports activities including kite surfing and jet skiing. Not to mention, Dubai is one of the cleanest cities in the world and the beaches of Dubai are even cleaner. As the weather of Dubai remains bright and sunny for the most part of the year, there are umbrellas and day beds to lie down and relax. For those who don’t know, the Dubai Mall is the largest mall in the world. It is located adjacent to Burj Khalifa, which is the tallest building in the world. Visiting Dubai, then going to the Dubai mall is almost mandatory for every traveler! The Dubai mall is a whole different world in itself. From more than 500 retail outlets to restaurants, cafes and an indoor aquarium, the Dubai Mall is never short of any entertainment. Not to mention, it requires four to five hours to completely explore the mall. The most exciting activity to do in Dubai Mall is to watch the musical fountain show. The show happens every thirty minutes every day after 6 PM. It is a free show to watch so definitely it is something not to miss. 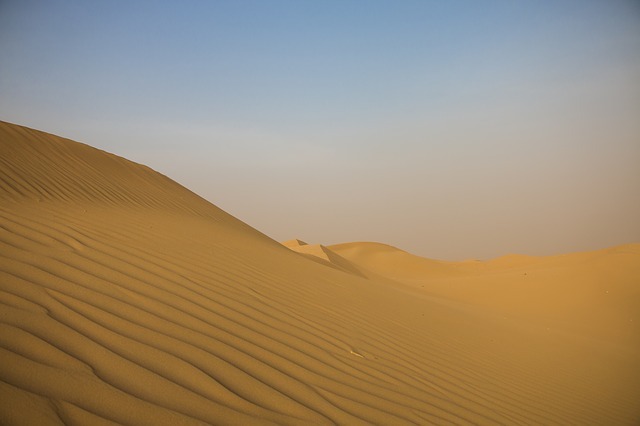 Do you know that almost 70% of Dubai’s land is desert? This means that even if you don’t love doing adventures while traveling, going for a Desert Safari in Dubai is a definite must! You can go for the safari independently but it is highly recommended to go with a tour company. There are many tour companies organizing the desert safari tour, which normally costs around AED 250 per person. It is a four to five hours tour that starts in the morning which includes dune bashing with a professional driver. After dune bashing in the desert, there is a falcon and belly dance show which eventually ends with the lunch. After an adventurous start of the day with the desert safari, some afternoon nap is definitely a must! However, to start off with the evening, a visit to the Mall of Emirates could be made. The Mall of Emirates is one of the most beautifully designed malls in Dubai. It has a huge Carrefour store and a cinema too along with hundreds of retail outlets and brands. The most interesting activity to do at the Mall of Emirates (especially if you are visiting Dubai with kids) is the Ski Dubai, which is a snow park. The entrance ticket for Ski Dubai is AED 220 (as per January 2019). After the lazy stroll or a shopping spree at the Mall of Emirates, the day can be ended at a high note with a dinner at the Dubai Marina Cruise. 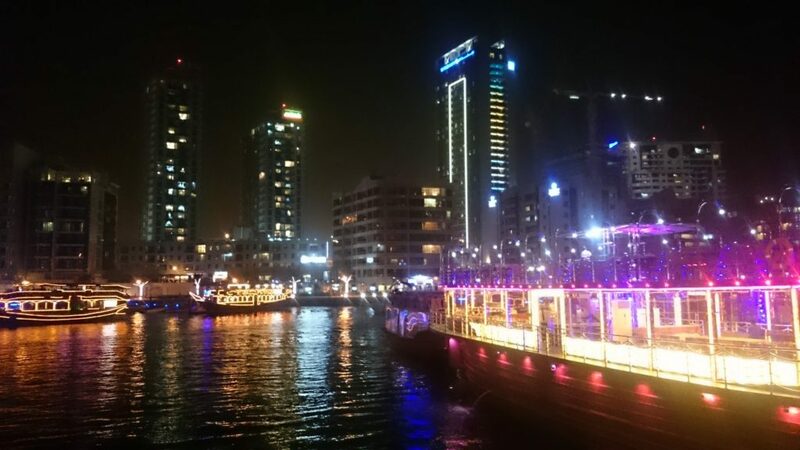 The Dubai Marina has many kinds of dinner cruises from hosted by different tour companies just like the desert safari tour. It is a double-decker modern boat with a closed AC compartment at the bottom side and an open area to sit on the top. The best views obviously come from the top open area of the cruise. The boat starts sailing at 8 PM, which is a two-hour cruise with Continental and Arabian dinner buffet, a Tanora dance performance and a belly dance show. The complete package for the Dubai Marina dinner cruise costs AED 250 per person. 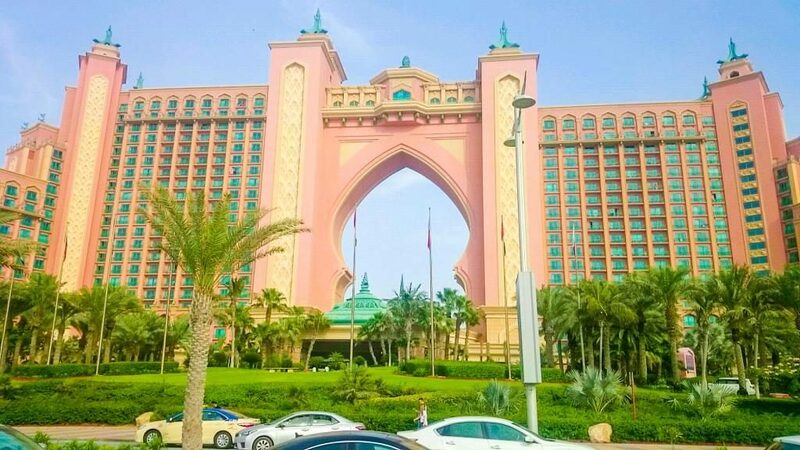 The last day in Dubai can be planned to be more relaxed so starting off the day by visiting the manmade wonder of Atlantis, The Palm would be a great idea. Atlantis, The Palm is the biggest and the most luxurious resort hotels in Dubai. It is built on Palm Island, which as the name suggests is a palm-shaped artificial island. The visitors are not allowed to enter inside the premises of the hotel; however, you can still enjoy the view of the hotel from the small Corniche area right in front of the hotel. After exploring the modern side of Dubai, it is finally time to get to experience the local neighborhood of the glamorous city. The Gold Souq (Gold Market) of Dubai is the best place to get up and close with the not-so-glamorous side of Dubai. The Souq is a big marketplace with small confusing alleyways filled with tiny congested gold shops, most of which are owned by the Indian expatriates living in Dubai. The Gold Souq also happens to be one of the oldest areas of Dubai, which was formed nearly some twenty years back by the expatriate South Asian workers who came to Dubai as laborers. After experiencing the chaos at the Gold Souq in the old Dubai area, the final stop of the trip can be the Dubai Festival City Mall. Just like any other mall in Dubai, the Dubai Festival Mall is also a huge property with hundreds of retail outlets and restaurants. However, not many people know that the Dubai Festival Mall also hosts a laser light show called ‘Imagine’ and a musical fountain show every evening just like the Dubai Mall. Though the musical fountain show is not as great as the one at the Dubai Mall this one is also definitely one to watch out for. There are two most popular and affordable areas to stay in Dubai. Bur Dubai is the old Dubai area, which is a twenty-minute drive away from the Dubai International Airport. This place has accommodations of all kinds for great to the boutique to some very cheap ones too. Moreover, this is a more local neighborhood in Dubai with most of the Asian expatriates living in the area; therefore, you will find a lot of Indian, Pakistani and Filipino restaurants and shops here. Bur Dubai is ideal for anyone visiting Dubai on a tight budget. However, the condition of some of the hotels would not be very good but if you’re only planning to spend a couple of nights, then staying at Bur Dubai is perfect. Barsha is a more modern area of Dubai, which is a thirty-five to forty minutes’ drive away from the Dubai International Airport. Barsha has a boutique to luxury accommodation options for the travelers. Also, this area is more close to the center of the city with many major monuments and places to visit in the close vicinity only. However, this is a more expensive part of Dubai as compared to the old Dubai area. Along with the high hotel prices, the overall expense for food and shopping in Barsha would be slightly more than that in Bur Dubai. However, if you’re looking to explore the urban vibe of Dubai by staying in the heart of the city, then Barsha would be the perfect choice for you to stay at. Rahma Khan is the blogger behind ‘The Sane Adventurer‘, a blog aimed at safe travels and adventures in off the beaten tracks around the world. An engineer by profession and a traveler by passion, Rahma is currently just ten countries old. However, her love for traveling across all the continents is slowly but passionately taking her to new places. She loves nature, adventure, and animals and that’s what she seeks on all of her travels around the globe. Follow her on Facebook, Instagram, and Pinterest. I’ve heard so much about Dubai. I never thought I’d want to go to the desert, but it’s really much more than that, isn’t it? Do they really fly kites at Kite Beach? You point out some attractions I could really enjoy! I would definitely go on the desert safari! Hi, I am still confused about Dubai because I can’t travel to Dubai because of the heat and love the architectural designs of the UAE. One of my friends went to Dubai in 2016 and she just said, she didn’t find any beauty while using skyscrapers and visiting Dubai malls. The only things she enjoyed a lot is Dubai nightlife and the architectural designs of Dubai building.